Music has it’s way of making an imprint for sure, gently taking your hand and reassuringly leading you back into your memory bank, nostalgically connecting you with those times when you were sonically swooned. That’s the feeling I get from Zee Avi’s Nightlight. Nightlight, Avi’s debut into the children’s foray, is filled with breezy acoustic melodies. There is very much a “coffeehouse” vibe to Avi’s style. Even Starbucks picked up on her comforting, soulful sound by including her second adult album, Ghostbird, in their entertainment catalog. A special reward for Avi as the first Malaysian artist to be recognized by the coffee mogul. Although this is only a small accomplishment compared to the many awards she has already received. Most notably, Avi won the International Youth Icon Award and was honored with the Brand Laureate Award for leadership as a singer/songwriter and establishing a successful career in the international music scene. Over the course of 30 minutes, Avi covers unexpected songs such as the Velvet Underground’s “Who Loves the Sun,” and Joni Mitchell’s “The Circle Game,” neither of which is compromised in the way of lyrics just because it’s a kids’ album. The integrity Avi maintains while floating over every word is just beautiful. There are songs which are familiar as well such as “Rainbow Connection” and Bobby McFarrin’s “Don’t Worry Be Happy,” the former of which is rendered in its own unique way, featuring Avi’s jazzy vocals. Avi also pays tribute to her Malaysian roots in “Nightlight Medly” which is a sweet mix of American and Malaysian lullabies. 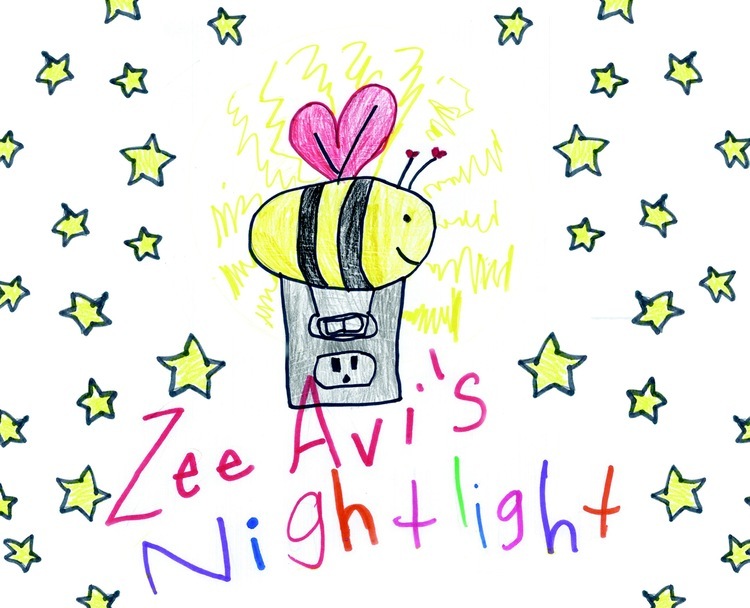 Zee Avi’s Nightlight invites you to close your eyes and follow along as the warm glow of her voice lights up your room. This is something every family should have in their collection. You can listen to samples, as well as purchase Nightlight via Amazon and iTunes. Learn more about Zee Avi in my interview with her here. Below is a sweet lyric video for Avi’s “Who Loves the Sun,” as well as a Nightlight sampler courtesy of ZeeAvi via YouTube. Enjoy! 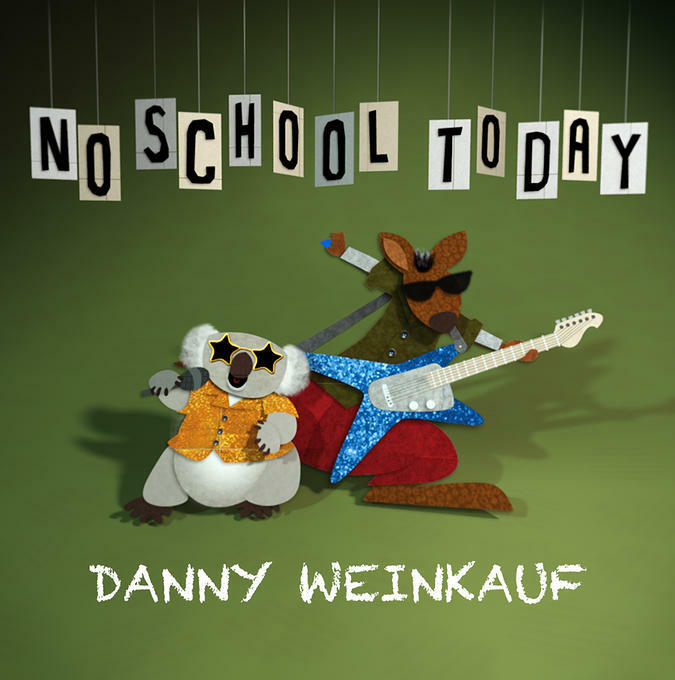 In addition to the release of No School Today, Weinkauf released a video for the song “Marsupial.” This is definitely one of the standout tracks on the album, and the video is no less entertaining thanks to the talented folks at eg design. I particularly love the expression on the Tasmanian devil’s face while playing a rockin’ guitar solo. Pretty sweet! While I was watching this video, I started to think about how often I’ve felt – and still sometimes feel – like a marsupial, whether it was carrying my daughter around in a fabric pouch during her infancy or walking through the swimming pool with her arms strapped around me koala style. But, alas, humans do not qualify as marsupials. However, Weinkauf’s video gives a good lesson on which animals do, i.e. the Tasmanian Devil and the Tree Kangaroo among others. And, it’s fun to bounce around with your little one(s) while shouting along with the chorus: “I AM, I AM, I AM, I’M A MARSUPIAL!” Go on and give it a whirl. Great song, great video! You can purchase the album from Merchdirect.com, iTunes and Amazon. Note: “Marsupial” is the second video from No School Today. The first video, for the title track, can be found here. To celebrate this holiday, Laurie McItntosh (aka Story Laurie) has a groovy tune available for free during the month of April. “Who Grew My Soup?” is a happy reggae tune that Laurie wrote with elementary students during a Cultivating Connections songwriting workshop. The goal of this workshop is to cultivate student and community connections with the environment, healthy foods and nutrition, and farms. The track was produced by Dean Jones and features vocal harmonies by Debbie Alan of Grenadilla and the elementary students with whom Laurie wrote the song. In true Story Laurie fashion, “Who Grew My Soup?” Is playful while also delivering a wholesome message that is likely to prompt some great family discussion. Since I became a parent, there have been so many times where I wish I could siphon out my memories at the end of the day and have them automatically recorded. I regularly feel compelled to stop time, and thankfully I have successfully done so with the click of my camera’s button. As my daughter got older and moved into a busier phase of her life – walking, running, jumping, biking, – life seemed to move faster than I could keep up with. 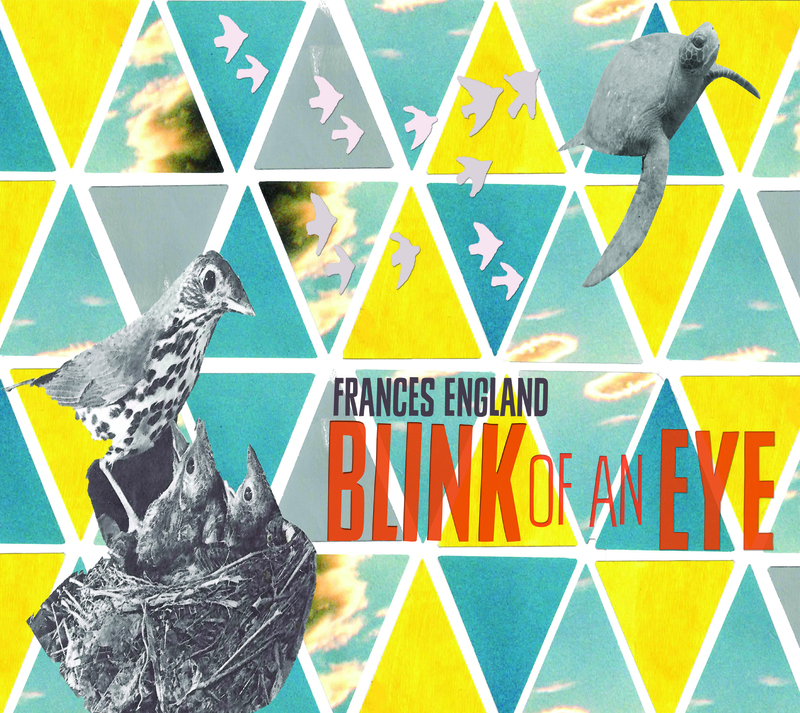 Frances England‘s 2013 release, Blink of an Eye, has invoked great nostalgia, reminding me of my obsession with creating memories. England has been recording gentle, acoustic melodies that capture the wonderment of childhood as it appears and is felt through the perspective of a child. Since her 2007 debut, Fascinating Creatures, each song has consistently been delivered with beautiful emotion, winning over the hearts of many grown-up listeners, as well as kids. Blink of An Eye is filled with songs that create a vision of togetherness. My favorite tracks, “Day You Were Born”, “The Sun Will Shine Again” and “Salt Water Swirl,” gorgeously illustrate the awestruck relationship and tender bond between parent(s) and child(ren). Sometimes music provokes a physical and emotional reaction and this album strikes a chord in both categories. The warmth of England’s soft voice is akin to the feeling of the sun shining on your face as you are cradled, buoyantly, in a lush, grassy field. Typically, England’s sound is acoustic. For Blink of an Eye, England recruited the masterful Dean Jones which is made obvious by the “kitchen sink” rootsy and eclectic accompaniment on many of the songs (most notably “Blink of An Eye” and another one of my favorites, “Move Like A Saturday Night”). Elizabeth Mitchell and Molly Ledford of Lunch Money also lend their talents in ways that enhance England’s unique sound, ultimately creating achingly beautiful harmonies. “Bicycle Built For Two” is a perfectly paired collaboration between Ledford and England. England’s fourth album to date, Blink of An Eye, captures the sentimentality and sweetness of being a parent. Just as a mirage offers temporary wonderment, so do the fleeting moments of childhood. Thankfully, England reminds us of those precious memories in this album. Blink of An Eye is available through England’s site, CDBaby, Amazon and iTunes. You can also sample clips from this album (along with previous releases and her awesome artwork!) at her official site. Bonus: Below are some beautifully produced videos from the album. Get ready for some goosebumps!